Home Asia Singapore Videos World Nomination Day? Or Keystone Cops? Nomination Day? Or Keystone Cops? While reading an article tonight on the reasons given by the Singapore Democratic Alliance (SDA) as to why they failed to file their nomination papers on time, and therefore missing out on contesting in the Singapore General Election against the PAP in Tanjong Pagar GRC (led by Minister Mentor Lee Kuan Yew), ominous music began playing in my head... for those of you old enough to remember, the tune was the theme from the Benny Hill show. 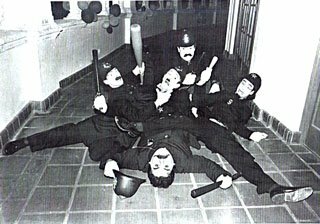 To be honest, comparing the absurd situation to an episode of Benny Hill is probably giving these guys to much credit - it sounded more like something that might have taken place in a classic Keystone Cops movie. What to me, should have been a straight-forward day where potential candidates just needed to follow a process (for which they have had an eternity to prepare), the day seemed shrouded in controversy and drama. 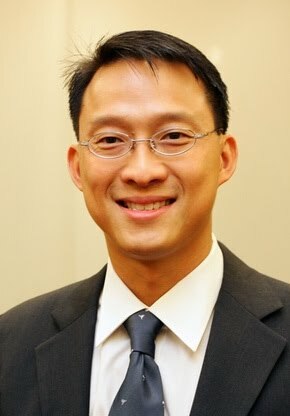 Interestingly, in my home constituency of Sengkang West, which was by all accounts set to be a four-cornered fight for the SMC, just three potential candidates showed up to nominate... the independent, Ooi Boon Ewe was one of the first to arrive, but with 15-minutes left to file his nomination papers, was short one Assenter. He had no success in finding another Sengkang West resident to support him... then there were two! Sengkang West will now be a head-to-head battle between Dr Lam Pin Min (People's Action Party and current MP) and Koh Choong Yong (Workers' Party). Dr Lam has made headlines just recently, with his move to engage 'new media' via short video-clips with daily messages - quite an ingenuous move, given that eight in 10 residents in Sengkang West are under the age of 50. Even without the new and social media, Dr Lam's track record speaks for itself. Sengkang West really has become his vision of our 'Dream Home'.